This memorial was created in honor of Kaitlyn Kimberly Cook of Nashville, Tennessee. Kaitlyn was born on January 30, 2003 in Hollywood, FL. After one year in Miami she moved to Nashville with her mom and dad, where she attended Wee Care Preschool. In 2006 the family moved to Slidell, Lousiana, where she attended Wee Wisdom through Pre-K. She was a happy child, eager to learn, and loved reading books, drawing, and riding horses. In 2008, she and her family, now grown with her baby brother Zander, moved back to Nashville. She was in Kindergarten at Sylvan Park Elementary, then went to Harpeth Valley Elementary through 4th grade. Her first two years of Middle school were spent at Bellevue Middle School, then she went to Head Middle Magnet for the last two. Her love of art remained, and Head MM decided to extend the 9-week art class to the entire school year, a decision that was influenced by her passion for art and her persistence. 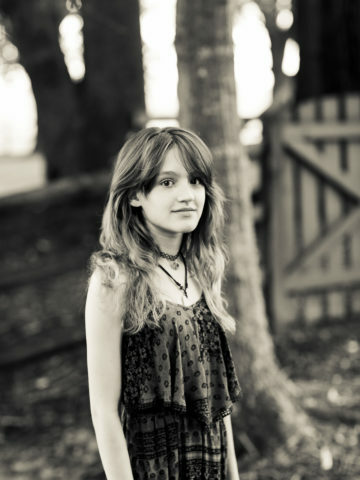 She successfully auditioned for Nashville School of the Arts for Visual Arts conservatory. Her love of art and animals has been a constant in her life. Horseback riding and time in the barn were among some of her favorite activities, rain or shine! KK was a sensitive, gentle soul, who loved her family and friends. She looked up to her big brother Aaron, and she was a daddy's girl for sure. She struggled with depression for the last few years and lost her battle yesterday morning. Kaitlyn was loved by many and will be dearly missed by all friends and family. Rest in peace, sweet girl !! I sit here in south Georgia reading about you with tears in my eyes. I have a fourteen year old granddaughter whose name is Katelyn; and my heart just aches for your parents, grandparents, and siblings. I always try to give everyone a smile because you never know what someone is going through. My thoughts and prayers are with you all !! Goodbye Kaitlyn Kimberly Cook. Even though we were never friends I remember seeing you in class. I never knew how much you really went through. I wish there was a way I could bring you back just to tell you everything is temporary in this life. I’ll never get a chance. Your friends all missed you at MLK;Gracie, Nathalia,Iaya,Iman,etc… Even Danial said he felt bad for you. Hopefully God showed mercy for your sweet soul! Happy 16th birthday Kaitlyn!! Even though you are no longer here, you will always be remembered. I barely even knew you but I love the whole idea of people drawing horses on their arms and painting the letters KK. You and “Stormi” both deserve to be here.